According to a recent report, Hong Kong, it has been found, is the eighth top choice of city for starting or expanding technology operations in Asia, according to the latest research report entitled ‘Top Locations in Asia: Technology Sector’ by a Canada-based global commercial real estate services organization. The report examined cities across nearly 50 criteria covering a spectrum of socio-economic, property and human factors to determine the viability of these cities as tech hubs, to serve as a workability index for the tech sector. With a score of 59%, Hong Kong came in at eighth. According to the report, while Hong Kong is not typically viewed as an innovation hub for tech occupiers, it is becoming more appealing for several reasons which include connectivity with Shenzhen and South China, recent expansion in Hong Kong by big tech firms such as the world’s largest social media platform and one of China’s largest multinational conglomerates, which specialises in e-commerce, retail, Internet, AI and technology. Moreover, tech occupiers are attracted to the accelerating investment in fintech in the city. Shenzhen came in third with a score of 61%, behind Bangalore (68%) and Singapore (63%). The city currently reigns as China’s technology capital, with heavy investment in R&D broadening the city’s tech base far beyond hardware manufacturing. According to the report, Shenzhen scored highly on property factors due to moderate staff costs, ample office stock, flexible workspace, and planned new supply. Shenzhen has also surpassed Hong Kong by GDP and is expected to benefit further from closer integration of the Greater Bay Area hubs. Beijing came in close behind with a score of 60%, taking the fourth position. The city scores highly on the economic scale and growth potential and is known for its abundance in talent. Staff costs are moderate despite CBD rents being the highest in China. The city is well placed to strengthen its position as a leading centre of Artificial Intelligence. The reporting company’s head of research for Asia said that the access to technology talent is a key criterion for determining the suitability of a city for technology companies, and a key reason behind Greater China’s strong showing in the Top 10 list. Acquiring talent is a key challenge for tech firms in Asia. Talent is concentrated in specific markets, notably China and India, which also offer high growth, the expert noted. To retain talent, tech firms need to move toward the CBD or CBD fringe. Additionally, artificial intelligence (AI) threatens demand for workforce space but drives productivity growth and returns. These conclusions led us to weigh growth and availability of talent highly in our “Top Locations” scoring. 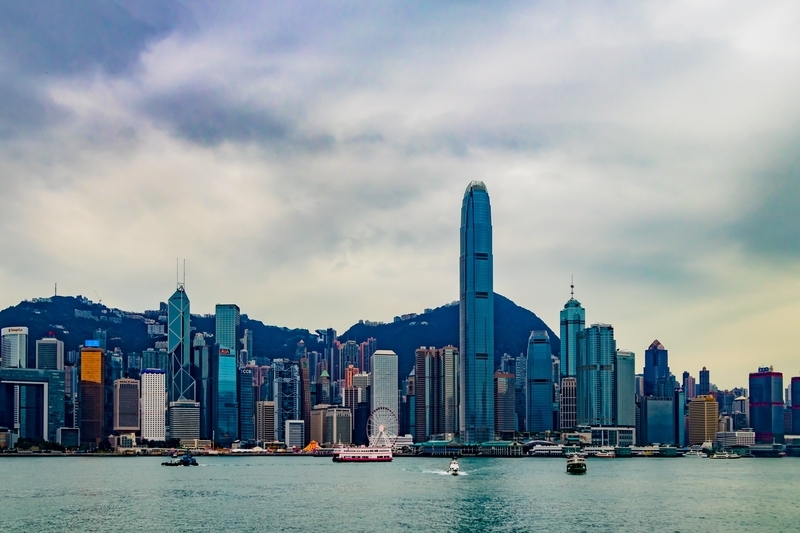 In order to create a more the idea of Hong Kong as a tech and innovation hub more appealing, Hong Kong laid out its Smart City Blueprint and is working to manifest the goals and objectives in it. According to the blueprint, the Vision is to embrace I&T to build a world-famed Smart Hong Kong characterised by a strong economy and a high quality of living. To boost its economy, Hong Kong aims to focus on FinTech and Smart Tourism. The city seeks to promote Fintech initiatives and explore distributed ledger technology applications in different areas, including trade financing and cross-boundary transactions. Moreover, the city is working to facilitate the introduction of virtual banking as another model of service delivery, with the Hong Kong Monetary Authority stating that it welcomes the establishment of virtual banks in Hong Kong, in early September 2018. The development of virtual banks, according to the HKMA, will promote the application of financial technology [Fintech] and innovation in Hong Kong and offer a new kind of customer experience. In addition, virtual banks can help promote financial inclusion as they normally target the retail segment, including the small and medium-sized enterprises. If Hong Kong keeps up this pace of manifestation (of the goals/objectives in the Smart City Blueprint), it will move up the ranks of the report.